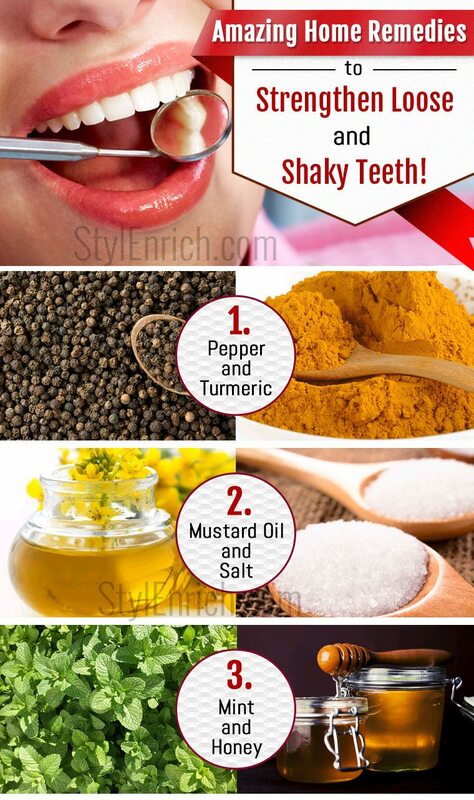 Home Remedies for Shaky Teeth That You Must Try! Shaky and loose teeth are signs of dental problems. It can get worse if not treated at the right time. Generally, the gums become weak with age; however for some people it may happen prematurely as well. You can visit a dentist and get the tooth and gum repaired or you try some home remedies to build strong and healthy gums which can fix the problem of shaky and loose teeth. Below are some home remedies for shaky teeth which can be followed regularly to get healthy gum and teeth. 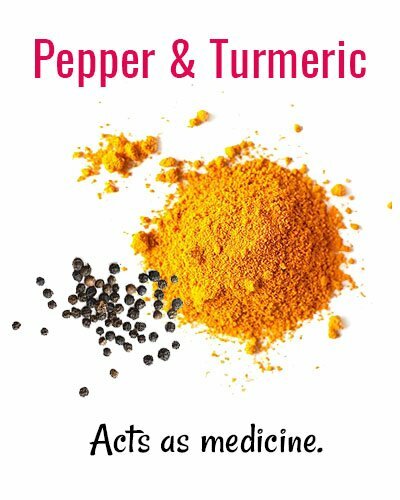 Both pepper and turmeric together act as medicine which can cure gum related problems. Mix equal quantities of pepper and turmeric. Take a pinch of the mixture and massage it all over the gums and teeth. Let it stay for at least 2-3 minutes. Wash your mouth and do not eat or drink anything immediately. This is an effective remedy for shaky teeth. It helps in building strong gums which prevents loose and shaky teeth. You can also brush your teeth after following this remedy as turmeric leaves behind a yellowish stain on the teeth. This combination improves gum strength and prevents tooth decay and other teeth related problems. Mix one small spoon of salt in mustard oil. Massage it all over your gums and teeth. Let it stay for 2-3 minutes. Repeat this process regularly for effectiveness. Try to avoid eating or drinking for at least one hour to get best results. Salt is excellent for tooth decay and cavities which are the main reasons behind loose and shaky teeth. 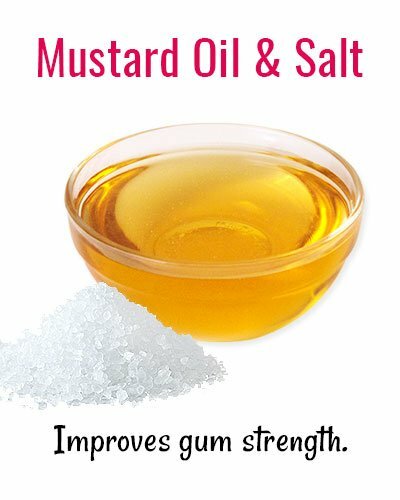 Mustard oil along with salt has medicinal properties and can cure shaky teeth within a few days. This is one of the best herbal home remedies for shaky teeth problems. Take few drops of clove oil in a cotton ball and apply it to your teeth. Massage your teeth and gums well. Leave it for 2-3 minutes and wash your mouth with warm water. Soak cloves in water overnight. The next day, grind the soaked cloves to make a fine paste. Add a pinch of salt to this paste and apply it on the teeth and gums. Let it stay for 5-10 minutes. Gently brush your teeth and wash your mouth with lukewarm water. Repeat this process at least twice in a day for effectiveness. 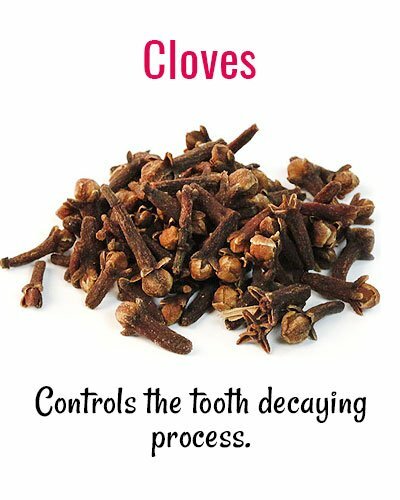 Clove gives respite from tooth problems such as inflammation, pain, and toothache. It controls the tooth decaying process and builds stronger gums. Also, clove oil adds freshness to your mouth and inhibits bacterial formation. 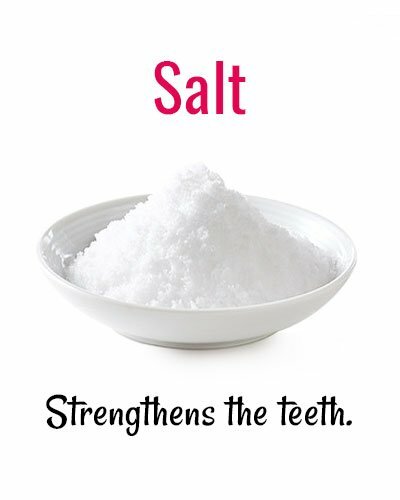 Salt strengthens the teeth as well as provides teeth whitening. Take a pinch of salt and rub on your teeth and gums. Wash your mouth thoroughly with lukewarm water. You can mix a small spoon of salt in lukewarm water. Stir well and gargle twice a day. Repeat this process several times in a day. 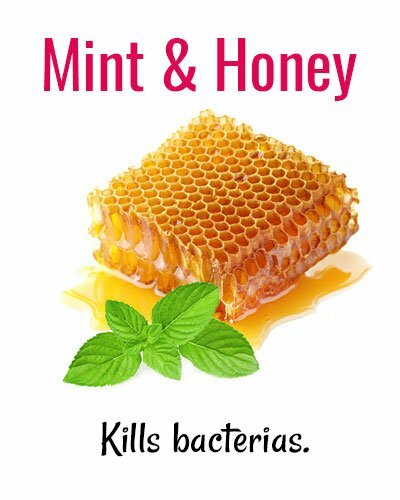 It strengthens your teeth and takes out the bacteria from your teeth. Begin your day with a salty mouthwash to prevent loose and shaky teeth. 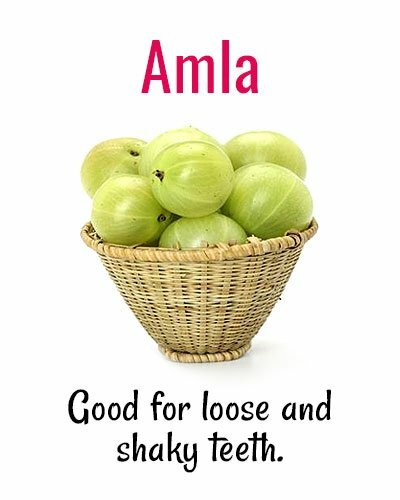 Amla can be used to strengthen the loose teeth. Extract one spoon of Amla juice and mix with water in a bowl. Stir this mixture and rinse your mouth. Regularly repeat this activity once in a day to strengthen gums and loose teeth. Do not eat or drink for an hour after rinsing your mouth. Take few dried Amla and sprinkle salt on it. Keep this salty Amla in your mouth and chew it slowly to extract the juice from it. Eat 2-3 salty Amla every day to prevent tooth problems. Amla is rich in Vitamin C and is good for loose and shaky teeth. Following the above remedy regularly with fix the shaky teeth problem and prevent its occurrence in future. 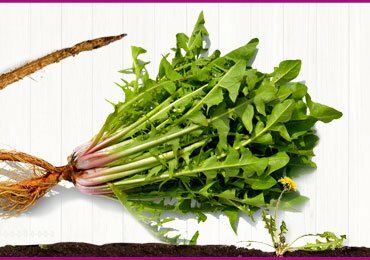 Green leafy vegetables increase the immunity in your body so that tooth and gum are healthy and keeps away infection. 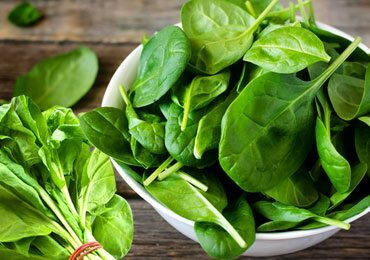 Take few spinach leaves and boil the same in a pressure cooker. 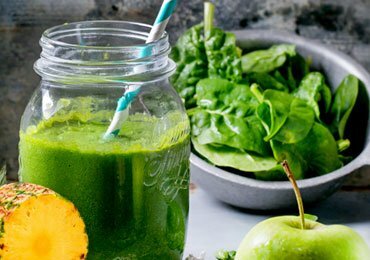 Blend the boiled spinach in a blender and add sufficient quantity of the stew to it. Add a pinch of salt and pepper to this juice. 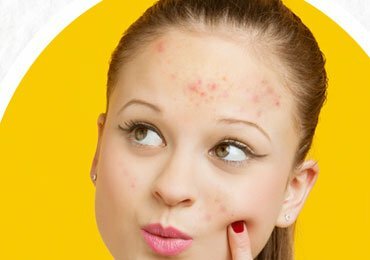 Drink this juice 2-3 times in a day to prevent loose and shaky teeth. 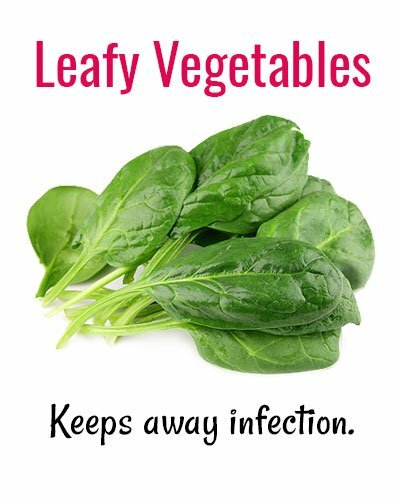 Leafy vegetables improve teeth and gum functioning. Hence, it is essential to include vegetables like sage, cabbage etc in your diet frequently to avoid loose and shaky teeth. This combination is good to strengthen weak gums. Add 1 teaspoon of fresh lime juice, 1 teaspoon of Aloe Vera gel, few drops of honey and 4 teaspoons of liquid glycerine. Mix the ingredients well and add 2 drops of peppermint oil and store it in a bottle. Wash your mouth with homemade mouthwash at least twice in a day to prevent tooth decay. Use this mouthwash twice in a day for effectiveness. It is a natural mouthwash and it kills bacteria and strengthens the gum which in turn prevents shaky teeth. To prevent shaky and loose teeth, it is always advised to increase the calcium content in your diet. Calcium-rich foods like milk, cheese, yogurt etc. increase the strength of your teeth and gums. They ensure that the problem is cured and prevented. 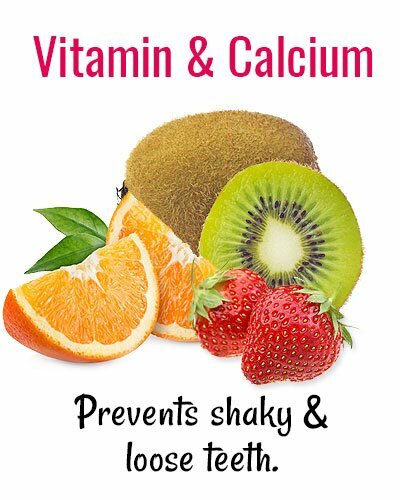 Including vitamin C food in your diet helps in getting rid of pain and inflammation that occurs due to a shaky tooth. Oranges, strawberries, kiwis, guavas are the rich source of vitamin C. These foods maintain healthy gum around loose and shaky teeth. It is advisable to include plenty of fruits and vegetables in your diet regularly and consume some form of dairy products which are a great source of calcium. Calcium is an essential mineral to build healthy gums and teeth. You can fulfill your calcium requirement from tuna fish, sardines etc. if you are fond of non-vegetarian food. 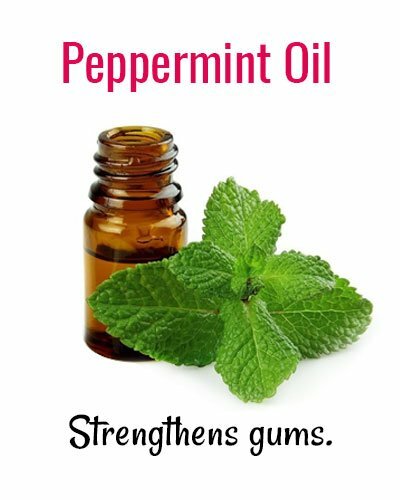 Peppermint oil is very effective for shaky teeth and weak gums. It can be used in 2 forms. 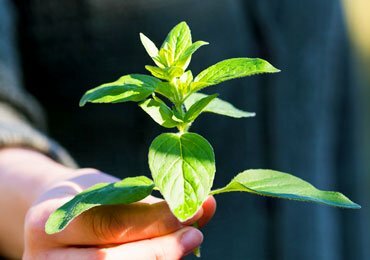 Peppermint oil in undiluted form can be rubbed over the gums and teeth to get relief from inflammation and soreness. Take few drops of peppermint oil and apply it on the gums and teeth. Let it stay for 2 minutes and wash your mouth thoroughly with lukewarm water. Repeat this process many times in a day for best results. In diluted form, it can be used as a mouth rinse which prevents bacterial infection thereby strengthening gums and teeth. Wash your mouth properly and do not eat or drink for an hour. This is a great combination to prevent inflammation and tooth decay. Squeeze the entire lemon in a bowl. Add a pinch of salt and cinnamon powder to it. Mix the ingredients well till salt dissolves completely. 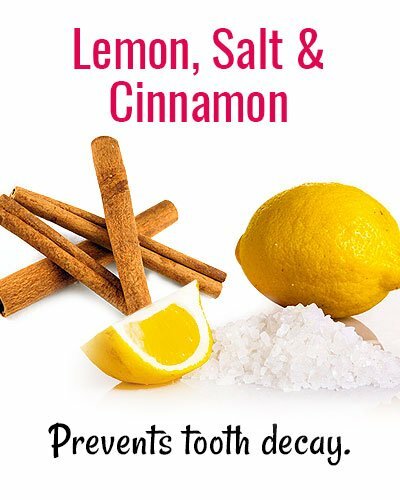 Apply this mixture on all over your teeth and gum. Leave it on for 3-4 minutes and wash with cold water. It helps in teeth whitening, prevents tooth decay as well as provides strength to your gums which prevents shaky and loose teeth. Loose and shaky teeth is a common observation, however, if neglected for a long time it may lead to inflammation and acute pain. Slowly, it will lead to bleeding gums. Use these home remedies for shaky teeth once you start developing this symptom. 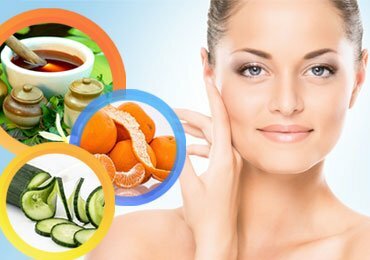 It is always essential to refrain from eating and drinking for at least an hour after applying the home remedies. This will prevent the bacterial growth which results in tooth decay and weak gums. Hope you found this home remedies for shaky teeth useful. In case of any feedback or suggestion, please share the same in the comments section below. 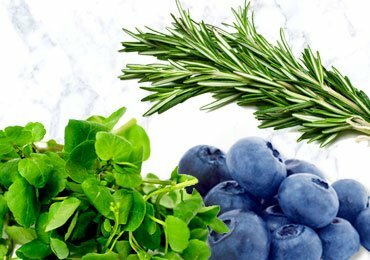 Read more – Best Foods for Healthy Gums and Strong Teeth! 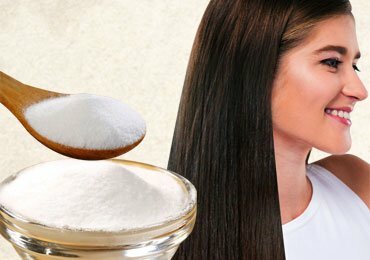 How To Treat Premature Greying of Hair? 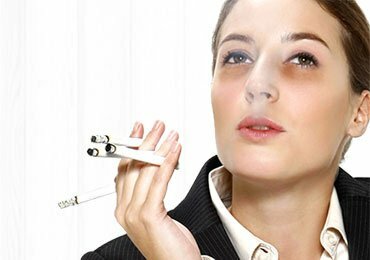 Natural Ways To Quit Smoking Which You Must Consider!